Petrol station space is unique for its mixed nature – different lighting is required in the shop and over the counter, restaurant zone, and cafeteria, there are also outside areas such as under-canopy, parking, and maintenance zone with NG fuelling, vacuum cleaners, and tyre pump machines. Utilising LED technology for illumination of the whole space brings savings on energy and increased safety, however, undisputable benefit is also in effective promotion of goods and services. Studies have shown that shoppers are likely to touch and pick up items in a brightly lit area. However, brightness cannot affect natural colour rendering, cause glare or undesired shadows. The average maintained illuminance level should be 300 lx and it is also desired that the heads of the lighting fixtures have adjustable angles. In cafés and restaurants customers should feel comfortable and relaxed. We achieve the perfect ambiance by luminaires with both direct and indirect lighting, which helps to avoid visually distracting phenomena such as glare, stark contrasts and dark corners. Also Tunable White technology offers great opportunities for making space more friendly and home-like. As for the employees, stimulating work atmosphere with both human centric and emotional lighting can increase concentration and performance, make them more alert and happy. Transition between the functional outside lighting and promotional lighting inside of the shopping area is represented by lighting of totems and architecture. 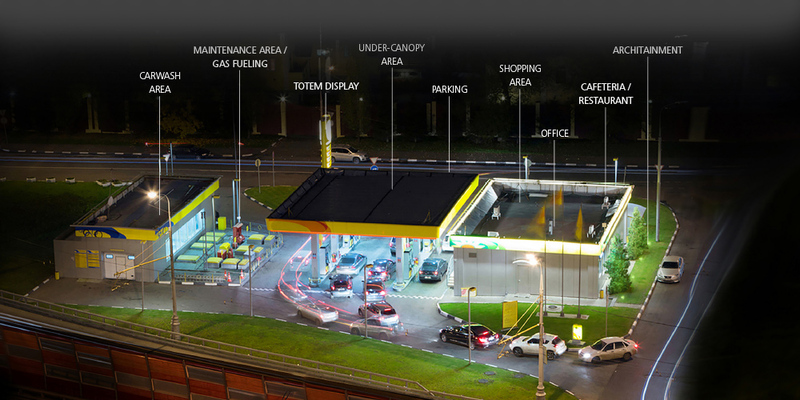 Petrol stations have to be visible from a great distance, many times 24/7, therefore, lighting has to be eye-catching and cannot cause glare. In parking areas, we are able to simulate the quality of daylight anytime. Whether customers stop for a coffee-break or to take a siesta, our aim is to make these areas safe in all circumstances. Lighting in the fueling area is mainly functional. The average illuminance should reach 150 lx with lighting uniformity ratio of 4:1. Petrol station includes other areas, such as maintenance zones or carwash areas, therefore, our offer is always customised to individual needs of the petrol station. When designing lighting for the inside areas of a petrol station, we always pay attention to retail psychology and human centric solutions. Correct colour proprieties and light distribution are important for sales increase, whereas for restaurant zones and cafés, lighting has to harmonise the atmosphere of the space with human biorhythm and its needs. In the outside areas, benefits of retail psychology can be used mainly for promotional and eye-catching illumination of totems and architectural illumination of walls of the main building or other objects in the area. 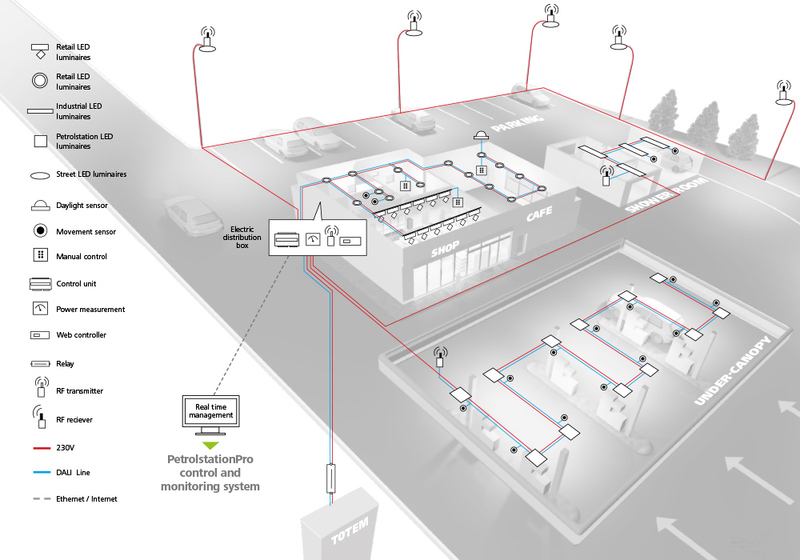 As for the parking space, under-canopy and maintenance zone, there is important to provide for energy saving in combination with 100 % safety and sufficient visual acuity by the means of quality luminaires with sensors and customised programming. It is scientifically proven that LED luminaires are energy-efficient. Our lighting systems come with a control system, which is an additional way of energy saving. Depending on the area, control systems include movement sensors and daylight sensors which adjust the illumination level as needed. For example, in the under-canopy area, 50 % is suitable for use at all times and only needs to be increased to 100 % in the filling space when a vehicle approaches, decreasing again to 50 % after the preset period of time has passed. For the parking areas, we use DOROS luminaires. For the under-canopy area, we use a version of DOROS adapted to use at petrol stations – DOROS PS has a special framework which turns the luminaire designed for street application to a luminaire with surfaced mounting. Luminaires in lighting systems by OMS can be programmed and included in the lighting management system, as well as complemented with both daylight and movement sensors. Communication is done via RF or powerline, depending on the conditions of the old system and client’s requirements. For petrol stations, also relay units are very important as that can control peripheral devices such as blinds or air conditioning. The Light Management System (LMS) is controlled through the Graphical User Interface (GUI) that is customised according to the solution for individual petrol stations. This advanced platform is designed to monitor and manage the system. Its key modules make it possible to change the settings of the lighting system, automatically collect, store and process data, schedule switching, generate reports about the system status and savings, and send notifications about failures and system errors. 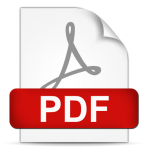 The software is a reliable and effective tool that helps to reduce operational costs by automatisation, improve system performance, and give the users absolute autonomy. 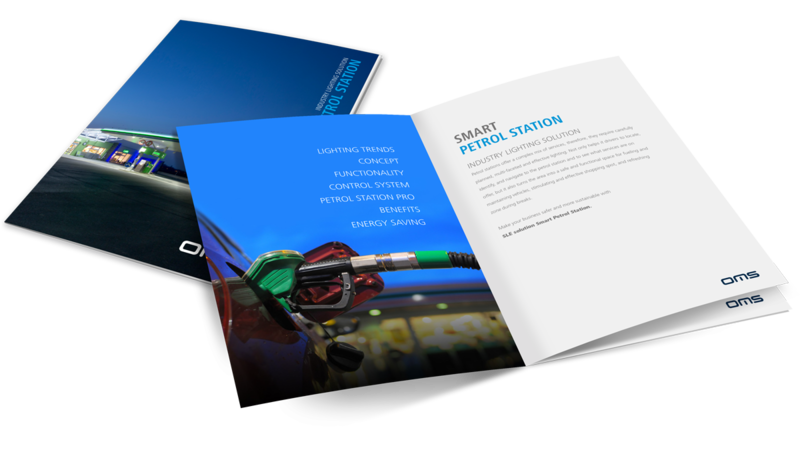 Download the solution brochure Smart Petrol Stations to read about the concept for individual petrol station areas and its benefits. 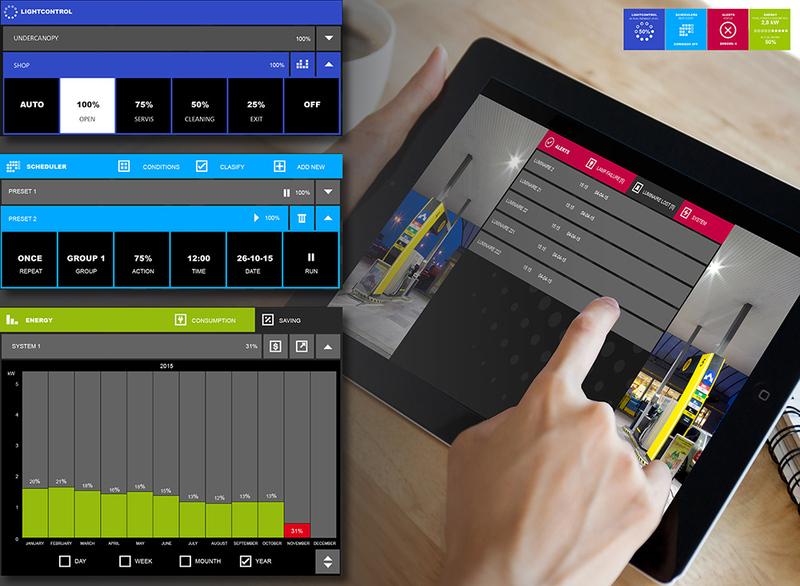 See how the user-friendly smart control system works and how it saves costs of energy and maintenance, increases safety and boosts sales and brand promotion.